Home » GBP » Pound Sterling to South African Rand Forecast: Will October Budget Cause GBP/ZAR Exchange Rate Rise? Pound Sterling to South African Rand Forecast: Will October Budget Cause GBP/ZAR Exchange Rate Rise? in GBP, GBP to ZAR, ZAR. The Pound (GBP) has fallen by -0.7% against the South African Rand (ZAR) today, following warnings about a no-deal Brexit causing significant UK border issues. The National Audit Office (NAO) has warned that exporters are unprepared for leaving the EU without a solid Brexit deal, which has rattled GBP traders. Looking ahead, the Pound has a chance at recovering on Monday next week when Chancellor Philip Hammond delivers the UK budget. Mr Hammond is faced with a dilemma between continuing austerity measures to reach a budget surplus and spending heavily to help cash-strapped institutions. ‘We put [the] price tag on ending austerity at £19bn by 2022-23. We have choices about how much to spend, but maintaining services will require more tax. If the Chancellor throws open the coffers and announces a surprise spending spree then the Pound could rise sharply against the Rand and other regular currency peers. 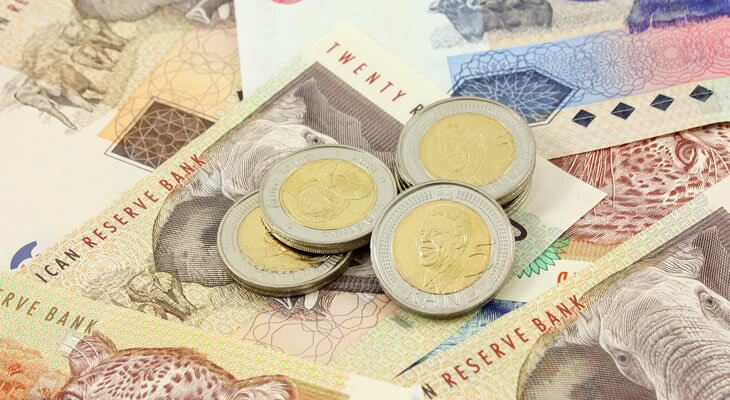 While Pound Sterling (GBP) could rise sharply against the Rand (ZAR) on Monday next week, there is a danger of seeing GBP/ZAR exchange rate losses just days later. Wednesday (31st October) will bring a GfK measure of UK consumer confidence in October – this is tipped to fall from -9 points to -11. A forecast-matching decline could drain GBP trader confidence and cause losses against the Rand, given the negative implications for consumer spending. South African Rand to Pound (ZAR/GBP) Exchange Rate Outlook: Are ZAR/GBP Losses ahead on Unemployment Figures? For South African Rand (ZAR) traders, the next economic data will be unemployment rate figures out on Tuesday next week. Covering changes to the employment rate in Q3 2018, the figures are expected to show a slight increase in the jobless rate during the July-September period. A forecast-matching rise from 27.2% unemployment to 27.4% could unsettle Rand traders and lead to ZAR/GBP exchange rate losses. Unemployment in South Africa has remained above 20% for over a decade and the Rand could be weakened if it looks like a lower jobless rate is an unlikely prospect. Will Shrinking South African Trade Surplus Drag ZAR/GBP Exchange Rate Down? Another key South African data release to watch out for next week will be the nation’s trade balance reading for September, which is due on 31st October. This is expected to reveal a reduction of South Africa’s existing trading surplus, with a shift from 8.8bn to 5bn. Such a result could drain Rand trader confidence and cause a clear loss against the Pound, as it would risk a future trading deficit if the figure keeps declining.